Spice It Up Class: A bit more about drying, but not dry I hope! Here you go: Mushrooms as spices, able to be powdered and added to food for that mushroom-y umami flavor. 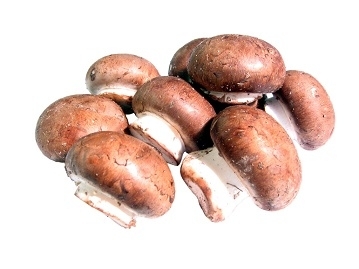 Tasty, delicious, fresh 'shrooms are very perishable; commercially dried at the grocery are really expensive. . . What to do? ---Dry your own, I say. Watch for a sale and set your limit on price. The last time I found mushrooms on sale it was $.99 for 8 ounces of whole brown mushrooms at a local market. As you might have guessed, this was over a year ago. I purchased 10 pounds of mushrooms. The dehydrator was dragged out from hiding. Knives were honed and the fungi were sliced according to this link at the National Center for Home Food Preservation (NCHFP). I dried until crispy; I wanted to be able to crush my mushrooms for addition to spaghetti sauce. All of those mushrooms fit handily into three quart-sized jars. 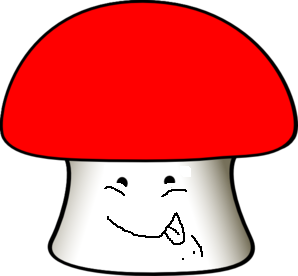 A while back on the net, BMDM (Before My Dried Mushrooms), I found a Korean recipe that asked for a good pinch of mushroom powder, but I did not have any. Now, I can whirl some dried mushrooms in a grinder and come up with some powder quick. I can use whole and ground mushrooms in soups, stews, and sauces. Did you know that the mushroom powder will up your "umami" flavor (savory/"meaty") just as fresh or dried ones will? 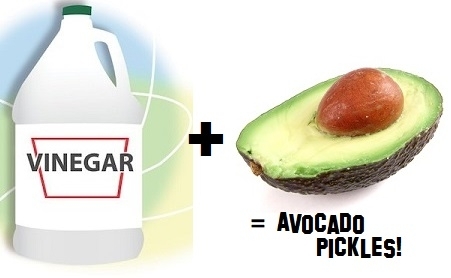 Re-hydrate whole slices by placing them in a deep, narrow, heat-proof container(A canning Jar! ), then pour over boiling water and let rest until the mushrooms are soft and flexible (at least 15 minutes), then use in your whatever. Prepared this way, the dried slices never really return to a fresh consistency, but have a nice bite and chew to them along with some great flavor. For better texture in a cooked dish try leaving them to re-hydrate several hours in the fridge after you add the boiling water. 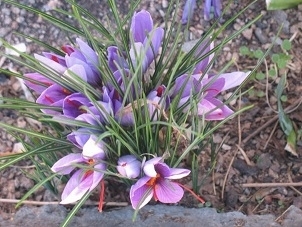 Alternatively, you can crumble them into, or toss whole into a dish to cook (as in pasta sauce). If you want to grind into a powder, place the amount of crispy dried mushrooms you wish in a blender or small food processor and whirl to a powder. Store in a tightly lidded (canning!) jar. Reconstitute by sprinkling in your dish as you cook; you may need a little water and taste to see how your mushroom powder is doing as seasoning. Remember to take a good smell when the jar is opened. I find the aroma is deep and wonderful. Really, if you find some mushrooms on sale or even if you don't, try drying some. You will find them quite valuable to your daily cooking used dried in slices or as a powder. One more thing: Make sure you have a male significant other slice the mushrooms for you, then ask, "Are you having fungi?" 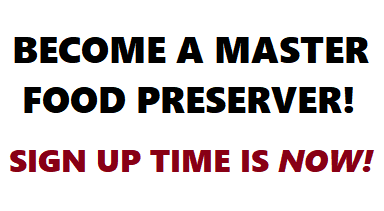 Last night was our continuing education class for Master Food Preservers. It was well attended, informative and entertaining. Master Food Preserver (MFP) Laura Simpson ran last night's show-she talked to us about Smoking Meats.This class included discussion about meat curing at home, with emphasis on curing BACON (a personal favorite of this author and MFP). Hot smoking of meats (the safe way to do it at home) sounded easy enough to do safely and deliciously. It was also great to hear that the home-smoker can make some cold smoked things like smoked mozzarella. MFP Simpson also discussed types of smokers. Tips on smoking with these were given. You can smoke on a kettle-type grill, a water smoker, barrel barbecue or even a gas grill using the appropriate techniques. 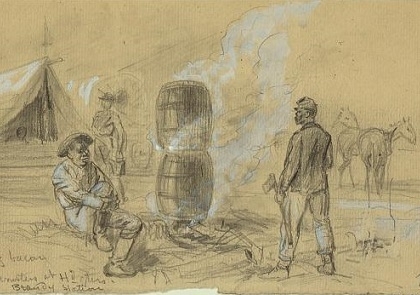 These barbecues and grills that are commonly found at home were illustrated. Did you know that there is not much difference in the flavors of different woods' smoke? Wood chips don't need to be soaked, and smoke penetrates meats more easily when the surface is kept wet? With the info she gave, the good reference books and the handout provided, well I feel ready. I don't know about you other attendees, but I want go out and smoke some bacon myself, right now. Maybe I will try that bacon recipe I have been thinking about. And mmm, smoked mozzarella, smoked provolone. It was a great class!